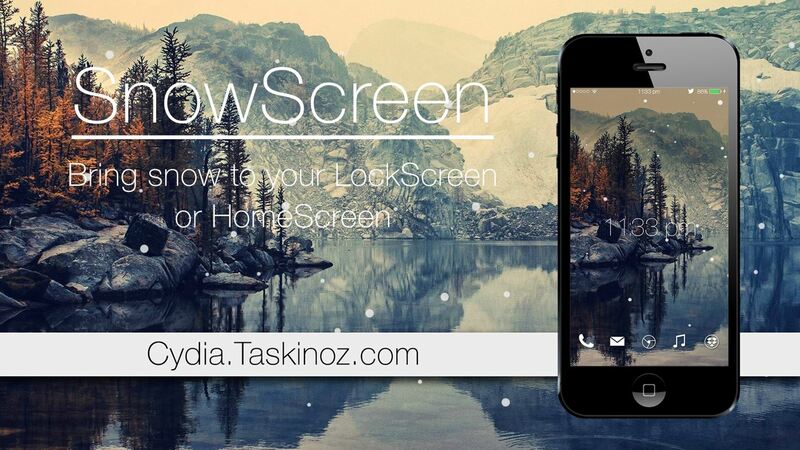 Just in time for the holiday festivities, iOS developer Tristan Kennedy has created a snowy HTML widget for your jailbroken iPhone's home screen called SnowScreen. 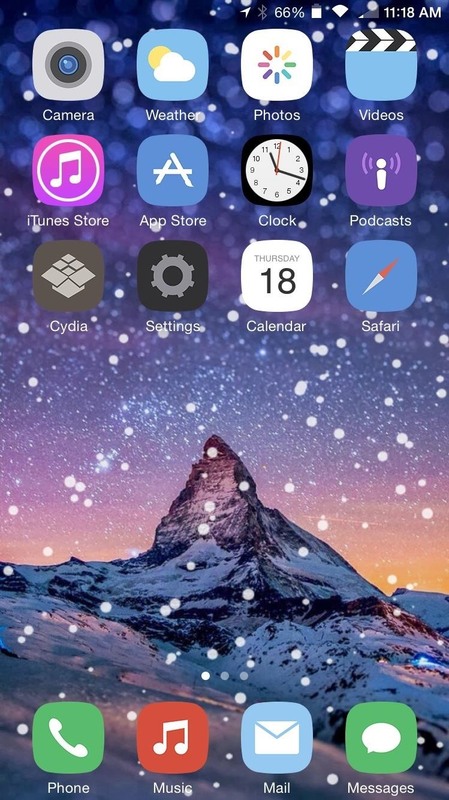 Simply apply the widget and you'll have a falling snow animation layered over whatever wallpaper you already have. Without further adieu, let's show you how to apply this tweak. As mentioned above, you will firstly need to jailbreak your device, if it's not already. Next, enter Cydia and select the "Sources" tab, tap "Edit," then "Add," and finally, enter "cydia.taskinoz.com" as the source. With the source now added, you will be able to find the SnowScreen tweak through the search option in Cydia. Install it. 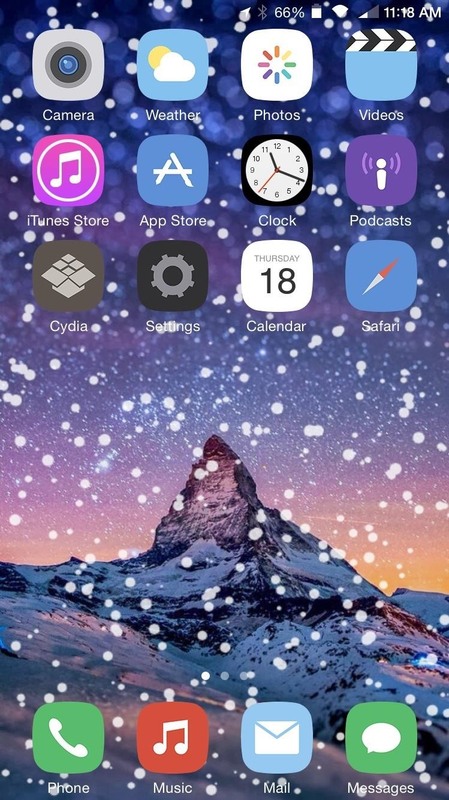 Now you'll need to install SBHTML, a tweak that'll allow you to apply falling snow to your home screen. 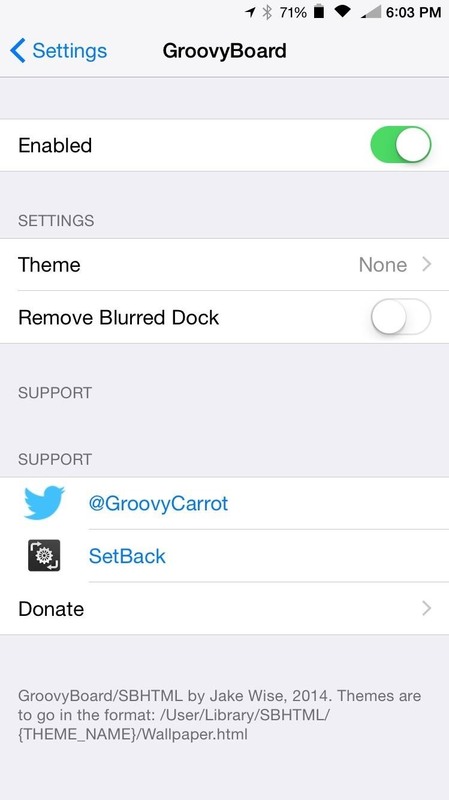 Enter your Settings application and scroll down to the "GroovyBoard" (aka SBHTML) preferences. From here you'll enable the tweak and select SnowScreen as the theme. 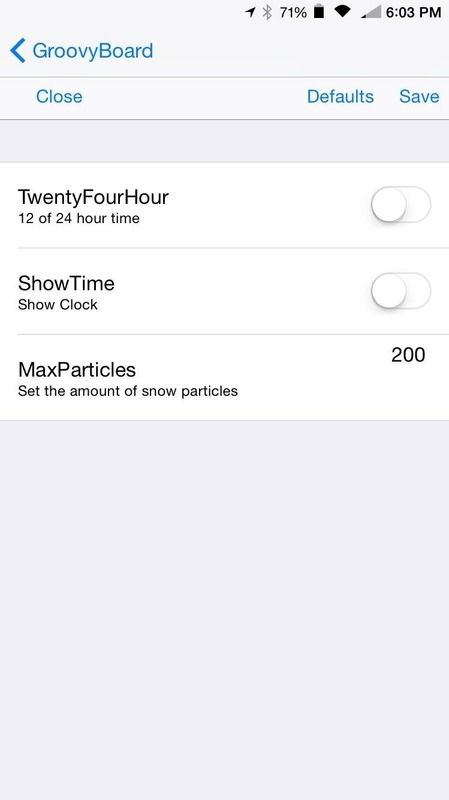 When you select SnowScreen, you will have a couple of clock options as well as the ability to adjust the amount of snow "particles" showing—the more you apply, the slower they fall, so test out different values. Once your changes are saved, make sure to reboot or respring your iPhone to apply them. Step 4: Let It Snow! When your device is back up, you should have some beautiful snow falling over your wallpaper. Now all you have to do is find a winter wallpaper that'll bring the theme together. (1) MaxParticles set at 200. (2) MaxParticles set at 500. Get your device ready for the winter with SnowScreen, and let us know what you think below or on our Facebook, Google+, and Twitter feeds. Thanks Neil looks great...One question?....Doesn't jailbreaking your ios device make it more vulnerable to online attacks? malware etc.? "Snowing on my screen while the Grinch runs away with all the info stored on my device"?????? Theoretically, yes. Anytime you install an app or tweak you're basically granting developers access to your device. For the most part, the tweaks I apply are popular and have good reviews from forums I view. Before installing a tweak through Cydia, do some simple research to make sure there are no red flags. 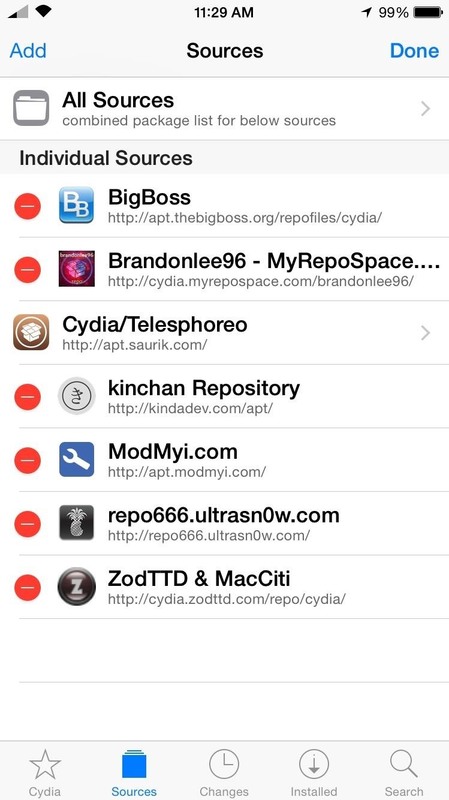 Also, you can always stick to the popular, trusted repositories on Cydia, like ModMyi and BigBoss. It essentially comes down to trust and being smart. Personally, I use the /r/jailbreak subreddit to get news and reviews of new tweaks. I hope this all helps. In all honesty, I have yet to run into any issues with my jailbroken devices. If you're interested in reading into it a little more, this Cydia* article has a lot of good info. Let me know if you end up jailbreaking and how you like it. Hey Neil! Thanks for this theme. I found a few similar Cydia themes in Cydia App Store also not bad. Like the Ayecon and Glasklart HD.